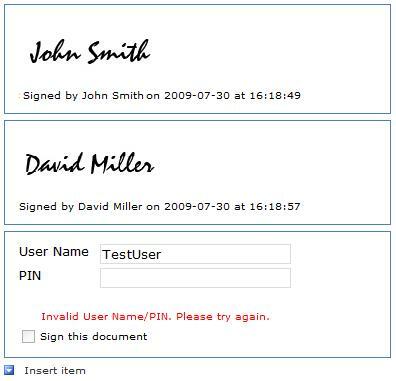 Qdabra’s Electronic Signature template part allows you to add signature images into your InfoPath solutions. 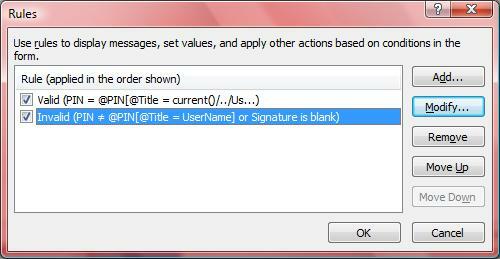 This blog post describes Qdabra’s Electronic Signature template part in full detail. If you have not learned about this XTP, please read that blog post before continuing. 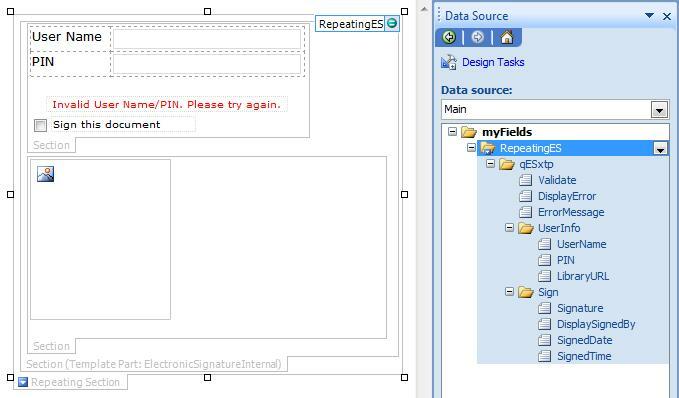 There may be times when we want multiple users to electronically sign a single InfoPath form, hence making the template part section repeating. 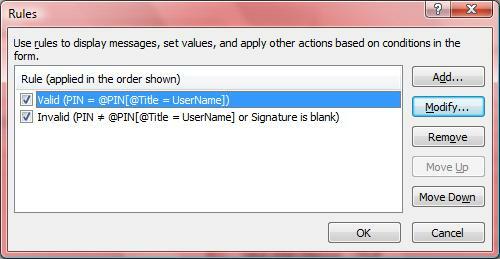 This blog post details the steps on how to create a sample InfoPath form with a repeating Electronic Signature template part. 1. Design a new, blank InfoPath form template. 2. In your Data Source taskpane, add a repeating group called RepeatingES and drag it onto your view. 3. Place your cursor inside the RepeatingES repeating section. 4. Switch over to your Controls task pane and select your Electronic Signature template part. 5. Modify your Validate check box rules. a. Double-click on the Validate check box to open its properties, and then click Rules. i. 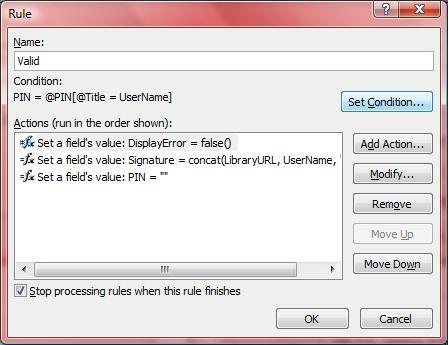 In the Rules dialog box, select Valid and click Modify. ii. In the Valid rule dialog, click Set Condition. iii. In the Condition dialog’s first drop down box, select “The expression”. v. Click OK twice to return to the Rules dialog. i. 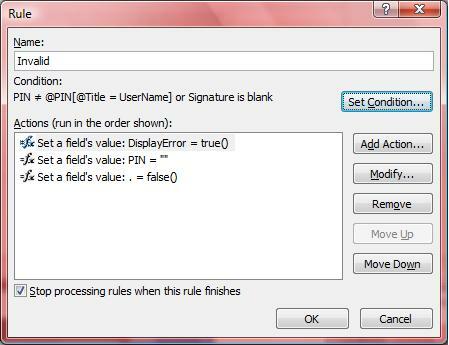 In the Rules dialog box, select Invalid and click Modify. ii. In the Invalid rule dialog, click Set Condition. This new third condition is required for cases when neither the UserName nor the PIN are found in the list, otherwise no error is returned. vii. Click OK until all the dialogs are closed. 6. Finally, test your form template in Preview mode. After testing that all the validation works as expected, you can then publish your solution to your SharePoint site.